Wood Ragwort ( Senecio ovatus ). The caterpillars bore into the stems. 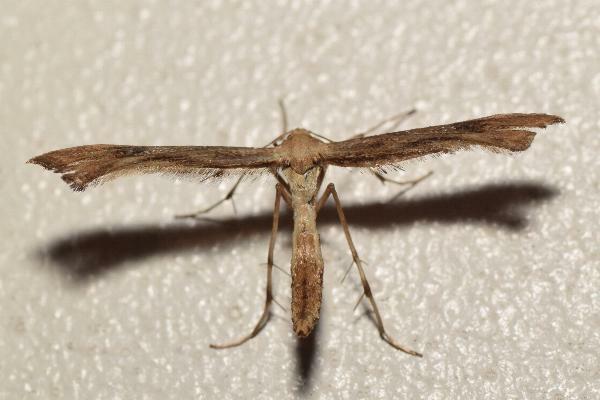 The adult moth is brown with a dark mark on each forewing, and has a wingspan of about 2.5 cms. Volume 6 (1852), pp. 328-330, No. 4.